I thought I would add apple stamping to the list. I think now we have stamped every fruit and vegetable you can (besides okra, which I would love to do). I cut the apple in half and decided to go with our basic apple colors. 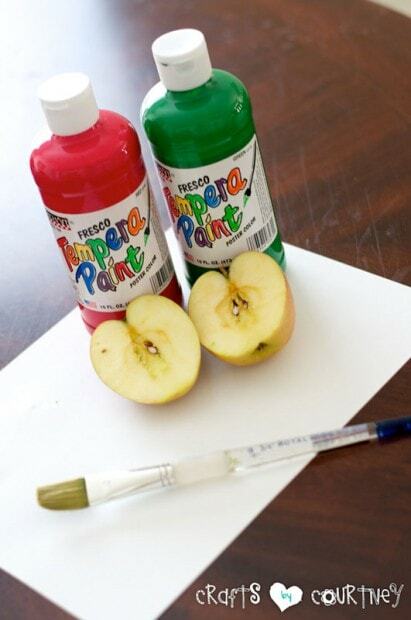 We have red paint for our Macintosh apple and green paint for our Granny apple. 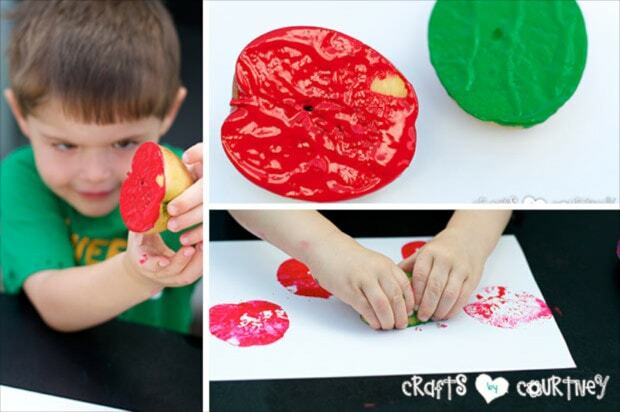 I poured the green and red paint onto a paper plate and had my son firmly press his apple into the paint. Once the apple was completely covered, I then had him firmly press the apple onto our paper and gently pull up. Voila a perfect apple shape. The silly little guy chased me around with his apple trying to get me (what a goof ball). Quick Tip: When apple stamping, stick a fork in the back of the apple. 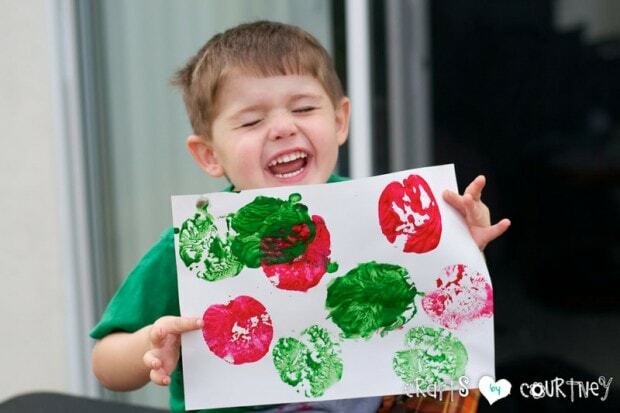 It becomes easier to stamp and not get paint everywhere. I went back over his apples with some brown paint and added a stem to the apples. If I would have thought about it, I might have even added some seeds to the apples. Hmm…that’s a good idea for another craft project (see a crafters mind is always spinning). He was pretty excited about his apples…as you can see! Apple Stamping is so easy right? !